From helping to protect the country’s most endangered species to ensuring forests remain intact to be enjoyed for generations to come, the Nature Conservancy of Canada (NCC) has countless stories that deserve to be told. And to make sure those stories find the right audience, the organization has come to depend on Cision. Jane Gilbert, vice-president of public affairs and communications at NCC, defines the organization’s mission as “conserving natural lands for the sake of the species and people that depend on them.” Raising awareness of the value NCC provides is obviously important, but donors expect to see their money put into the field and mission work rather than a large advertising budget. That means Gilbert and her team need to work harder to get coverage from media at both the national and local levels. The stories NCC wants to tell are also far more complex than a simple photo op. For Gilbert, earned media opportunities are a way of helping the public understand what “stewardship” means from a conversation perspective. 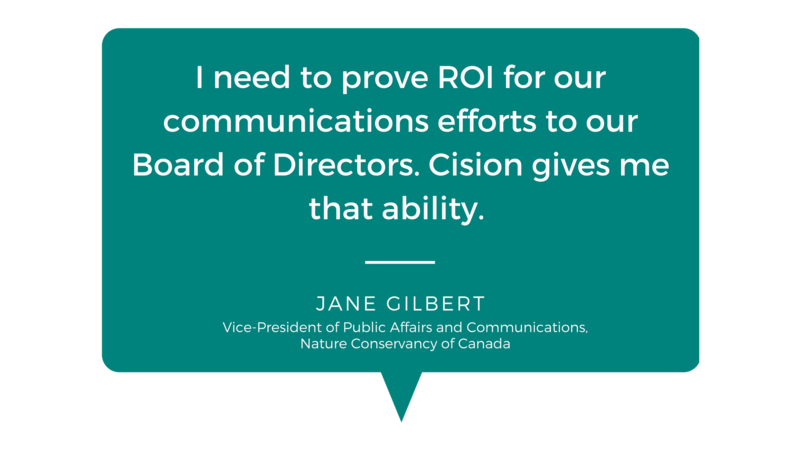 The NCC is a longtime customer of Cision’s services for web and wire distribution (powered by Canada Newswire), along with media monitoring, media analysis and reporting tools that help track earned media coverage and capture the details of sophisticated communications campaigns. 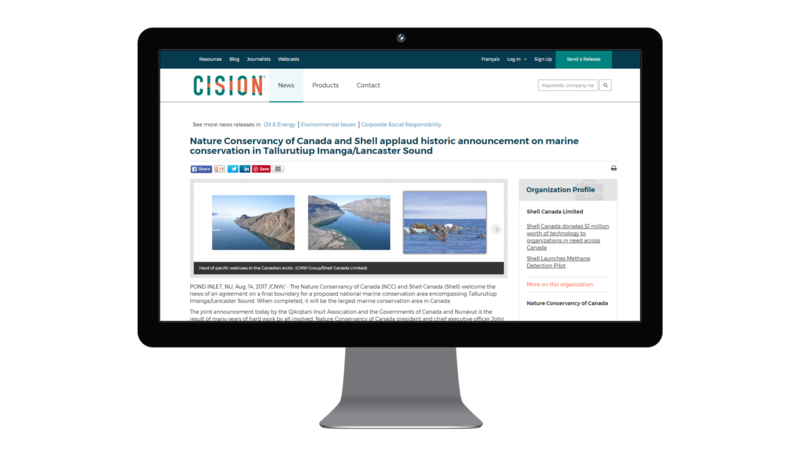 In addition to Canadian distribution, Cision provides expanded reach internationally using PR Newswire, reaching newspapers, magazines, broadcasters, trade publications and more. 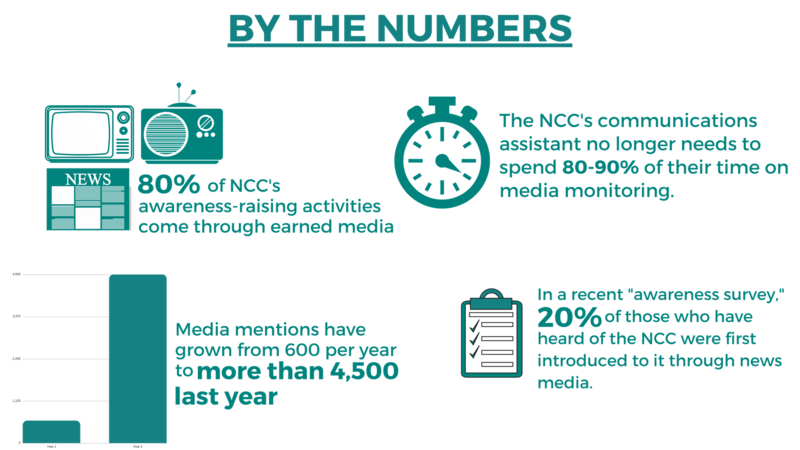 Achieving Communication Targets: Gilbert has set a goal to have more than 80% of NCC’s awareness-raising activities come through earned media. Distribution through Cision has helped her exceed that, she says, with media mentions growing from 600 a year a few years ago to more than 4,500 last year. “We’ve made that target every year,” she says. Demonstrated ROI to Important Partners: Since 2007, NCC has been involved with the Natural Areas Conservation Program (NACP), a unique partnership with the Government of Canada to accelerate private land conservation. Media coverage plays a strong role in conveying the value of the program back to government partners, and other stakeholders Gilbert says. “We have a lot of events where the media coverage reflects back on what we’re doing with government grants,” she says. Gilbert also adds that the reporting is also essential for internal stakeholders, and that she appreciates the “human filters” or insights from the Cision team that are layered onto what the technology provides. This is why NCC has determined Cision offers the tools it needs for the long term.